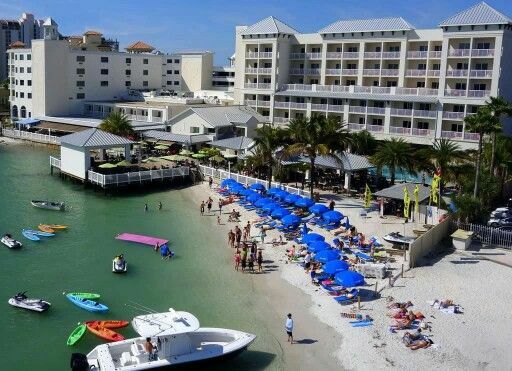 Located in popular Clearwater Beach, this hotel features a stretch of white-sand beach facing the Gulf of Mexico; Sand Key Park, Clearwater Marina, and Pier 60 are all just a mile away. After a day at the beach, Shephard's Beach Resort guests can dine on the waterfront restaurant, then dance to the light show at the Wave nightclub or enjoy a drink at the SALT Tequila Bar at Tap Room. All guestrooms have complimentary wifi. The Gulf Tower rooms offer balconies with partial gulf views, while the New Sand Key Tower has pool, gulf, and island view rooms.